OK, so this might not be the very first thing on your list (Why not? What’s wrong with you? ), but as with many travels, it’s sometimes as much about the experiences as it is about the attractions. I love a rooftop bar and this one, in the Hilton, has seriously fabulous views out across the Vltava River and surrounding city. As with any bar offering top quality views, you end up paying for this as well as the drinks, so prices are steep. The drinks are fabulous, though, so it’s worth paying for at least one round. If you want more, you can always find somewhere a little more reasonable. No one wants to re-mortgage their house just to get drunk in Prague. This compound known as Prague Castle is the official residence of the President of the Czech Republic and the largest in the world. Unfortunately, it also boasts the rather dubious history of being able to count Adolf Hitler as an overnight guest. Don’t let this put you off, though – he wasn’t exactly invited. The compound actually comprises many buildings and is more like a small town, to be honest, so make sure you have enough time to get round it all. Tickets are usually good for two days and cover a combination of the main sights, including St. Vitus and St. Wenceslas Cathedrals, St. George’s Basicila, and the Old Royal Palace. 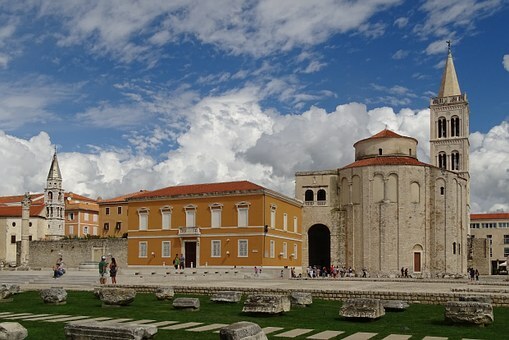 The city has the oldest operational astronomical clock on the face of the earth and stands proudly at the southern end of the Old Town Square. The clock is more than 607-ish years old (depending on when you read this, obviously…) and is quite a piece of machinery. Please don’t ask me how it works as I have absolutely no idea. BUT, I did think it was really pretty which is the main thing, right? If you look closely, you’ll spot the four figures on the clock and identify Vanity and Lust, plus a bloke with a bag of gold who, I assume is Scrooge. The final figure is a skeleton, representing Death, who strikes the clock at the top of each hour and suddenly makes you question all of your life choices. Also: why are you standing looking at him when he’s clearly telling you your time’s running out? Go. Do stuff. 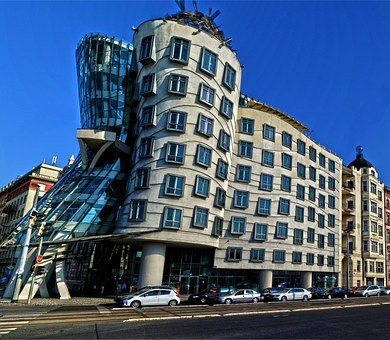 So called because it represents the image of Fred Astair and Ginger Rogers dancing, the Dancing House is a majority business space with a French restaurant on top. A slightly controversial building at the time; given it *really* sticks out amongst its historical neighbours but, nevertheless, this building has slowly become one of the city's most visited attractions. If you like Gaudi, Picasso, or structures that look like they've been left in the sun too long, then this is the building for you! I jest, of course; it is quite a spectacle and stands out both for its innovative design as well as its choice of location. No trip to Prague should be completed without a walk across the Vltava River on the historic Charles Bridge. Dating back to the 1300s, this pedestrian-only bridge was previously the only way of crossing the river (apart from swimming or sailing, I imagine) until 1841. The bridge connects the Old Town with the Lesser Quarter and has many baroque statues along its length. In the recent past, the bridge has been repaired and fortified to protect it from flood damage, but this has seen the replacement of historic stones with...well, not so historic stones and in many ways, this has damaged the original features. The bridge can get very busy; particularly during high season, so it can take a bit of time to snake through the crowds in order to properly see the structure. A leisurely stroll across the bridge when it's lit up in the evening is a great way to spend some time. One of the two main squares in the city, Wenceslas Square isn't a square at all, but rather more of a long, wide, tree-lined street. Don't let that put you off, however, as it's a bustling area full of shops, bars and hotels. Days can be lazily spent checking out the New Town buildings -- including the State Opera and National Museum -- and evenings spent people watching, shoppings for souvenirs and checking out the mix of trendy and traditional bars and hotels. 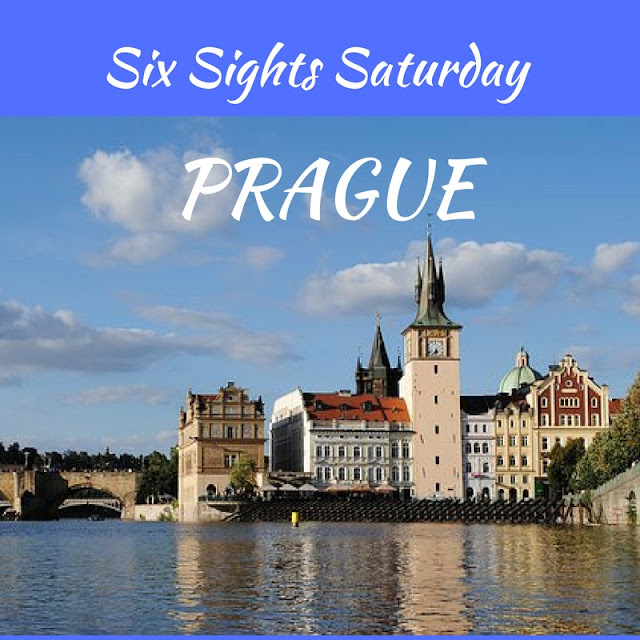 What are your must-see sights in Prague? For other Six Sights Guides, click HERE.